This lovely Petite Cheese Board & Fish Spreader is great for a gift or for "Your" kitchen! Great for serving cheese, toast, a sandwich, snacks and maybe even Sushi. Comes with our adorable "Fish" Spreader. Available in several wood combinations. Measures approx 5 3/4 wide x 12" long and is 1/2" thick. Fish Spreader is 1 3/4 wide x 8" long. 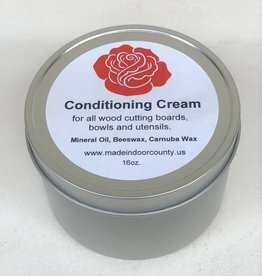 Don't forget wood conditioning cream to keep your wood items looking marvelous!